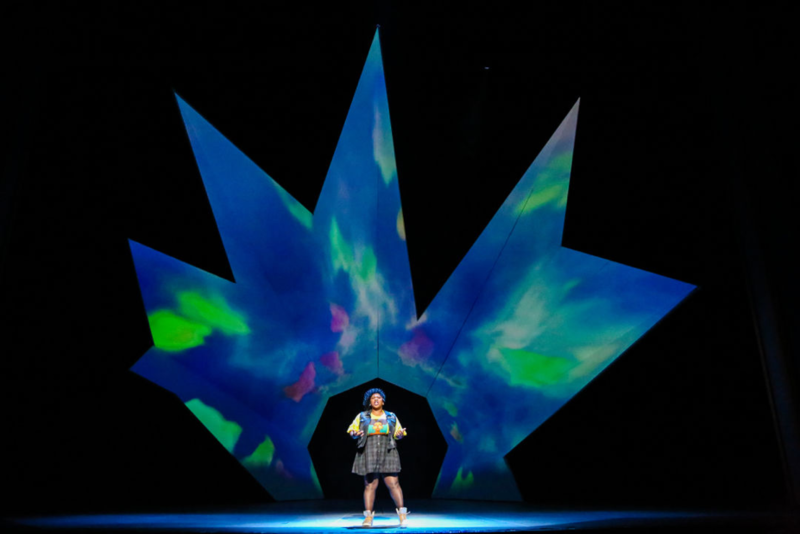 Jainchill has produced lighting designs for Playwrights Horizons, Oregon Shakespeare Festival, Denver Center for the Performing Arts, Arena Stage, and Cleveland Play House. He has been the Associate Lighting Designer for two Broadway shows: Old Times at American Airlines Theatre and Significant Other at the Booth Theatre. He was also the Associate Lighting Designer for the World Premiere of Dear Evan Hansen. Jainchill was contracted to work on The Wiz back in March and, soon after, traveled to Houston for a site visit to see the theater and meet the rest of the production team. 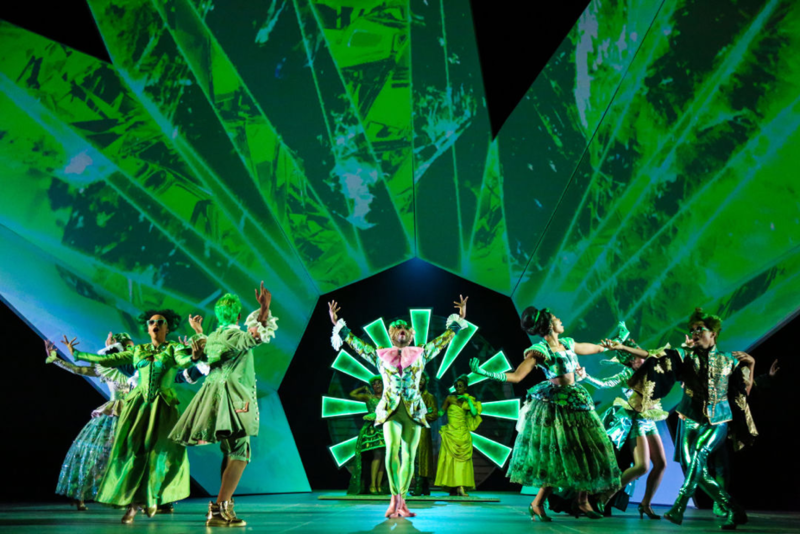 They had a few preliminary meetings and eventually came up with a concept for the set, a tunnel-shaped backdrop which provided Video Designer, Aaron Rhyne, a huge canvas to tell the story. Salome B. Smith as Dorothy in The Wiz. Image courtesy of Jason Sherwood. 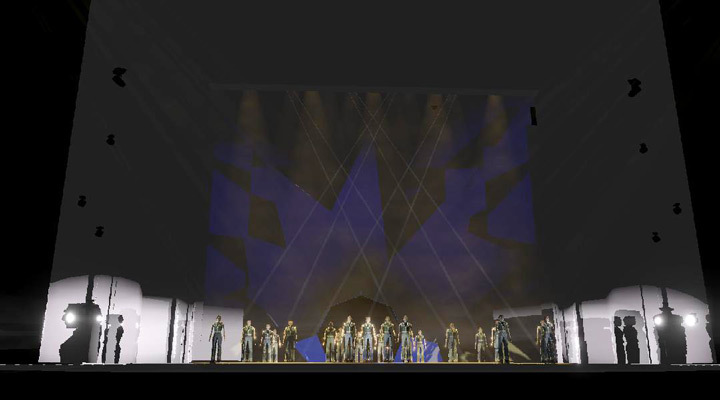 One of Jainchill’s renderings of the production. Image courtesy of Jason Sherwood.